At this time, the Independent National Electoral Commission (INEC) release total number of registered voters in 36 States in Nigeria and the Federal Capital Territory (FCT) of Abuja, respectively. 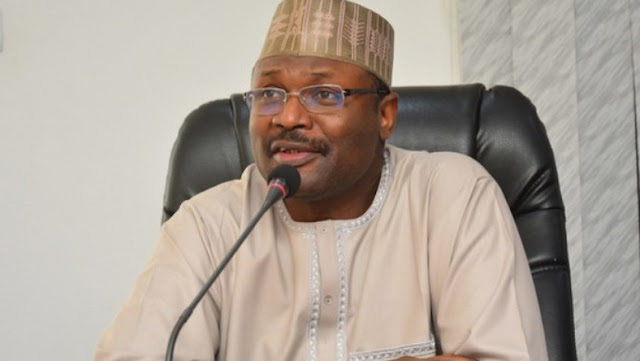 Following the presentation of the Voter Register in Abuja on Monday, January 7, 2019, INEC chairman, Prof. Mahmood Yakubu, disclosed that the final register for the 2019 general elections stands at 84,004,084 voters. The Northwest currently has the highest number of registered voters at 20,158,100. That hands the Northwest 24.06% of the registered vote total. The northeast region and the southeast region come last with the total number of registered voters with 11,289,293 (13.44%) and 10,057,130 voters (11.91%) respectively. Of the total, there are more registered female voters (44,405,439) than male voters (39,598,645). The female population of registered voters make up 52.86% of the total voter register with registered male voters making up the remaining 47.14%.